If you haven’t heard yet, Saks has their Friends & Family sale going on right now and is offering 30% off a wide selection of goods. There are lots of great things included with this sale, so I have pulled together a couple of my favorite pieces that could work in any wardrobe. When it comes to buying things during Friends & Family sales, I prefer to buy classic items that rarely go on sale and all of these items are just that! This is the best Friends & Family sale I have seen all season, so be sure to check it out before it ends on Sunday! P.S. Nordstroms is price matching Saks’ Friends & Family sale, so if you can’t find a size you are looking for, I would suggest checking out Nordstrom’s site. 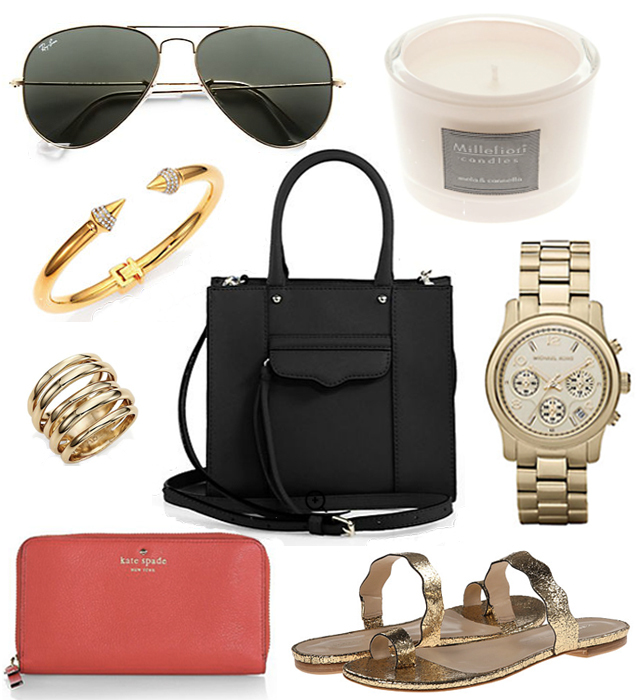 I am loving: the ring, the cuff, and those sandals!! Awesome picks from Saks!! Had no idea! Thanks for the share! thanks for the heads up. I have a Nordstrom close by but not a saks. I love those gold sandals!